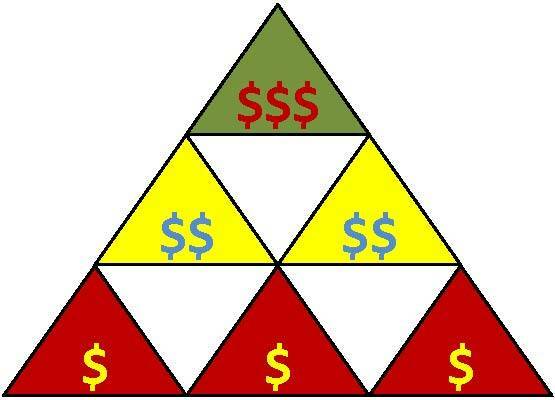 Elk Grove Taxpayers Should Count Their Blessings of Failed MLS Bid; Madoff Type Pyramid Scheme? 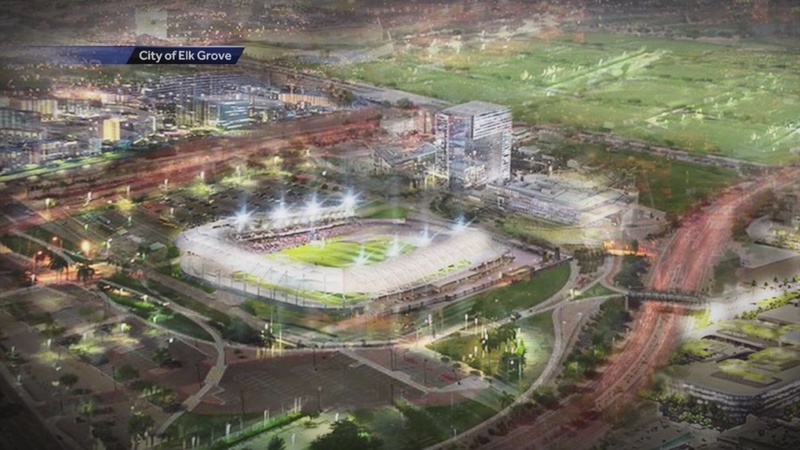 Frequently criticized on this site yet heartily embraced by most of the Elk Grove City Council members, the city's dream of landing a Major League Soccer thankfully evaporated about two weeks ago. The implied dismissal came during MLS Commissioner Don "The Soccer Don" Garber's visit to Sacramento to hear their pitch to land one of the coveted expansion franchises. Even though MLS brushed aside the city's bid well before Garber's April visit to Sacramento, Elk Grove Mayor Gary Davis clung to the idea. At one point Davis even suggested Elk Grove could continue its pursuit of a professional-grade soccer stadium in Elk Grove by snatching the troubled Miami expansion franchise promised to international soccer superstar David Beckham. Thankfully, MLS Commissioner Don "The Soccer Don"
been on the hook for a $100 million white elephant. Now that Elk Grove is out of the running - not that it really ever had a chance - Sacramento is competing with other city's for the new franchise. One of the biggest rivals is Detroit. Motown's bid is backed by two 21st century billionaire Detroit-based titans, Dan Gilbert and Tom Gores. For those not familiar, Gilbert is a Detroit-area native who started Quicken Loan, owns the NBA's Cleveland Cavaliers and whose billions of dollars is almost singlehandedly revitalizing Downtown Detroit while Gores owns the NBA's Detroit Pistons. While Gilbert and Gores' billions and privately-funded bid, which some has described as a land grab, place them well ahead of the Sacramento-owners group financial resources, there is a common threat in both groups bid. The commonality is an almost delusional interpretation of MLS's appeal and future viability, at least according to a well-regarded soccer economist. In a story published this morning by Crain's Detroit Business, University of Michigan sports economist and soccer author Stefan Szymanski expressed skepticism not only about MLS's appeal among real soccer fans, but the long-term financial viability of the MLS. The complete story can be viewed here. If nothing else, it seems Garber has done an extraordinary job of pitting one city against another in his effort to bid-up pricing of an expansion team. This bidding war could be one way to cover annual losses sustained by the league. Is it a coincidence that the $100 million expansion fee matches the MLS's annual losses? MLS supporters will continue to delude themselves into buying Garber's snake oil salesman pitch and the whole shtick being foisted in Detroit includes chatter about 100,000 kids playing soccer within an hour of proposed stadium. If these fantisiful numbers sound familiar, that because members of the Elk Grove City Council threw similar subjective figures about youth participation in "The Beautiful Game" around in their bid to get taxpayers to build a stadium in hopes of landing an MLS franchise. Furthermore, there is a growing body of evidence suggesting that the Andrew Donnery led FC Elk Grove soccer organization is fabricating the illusion of the scarcity of soccer fields in the city so taxpayers can build them multi-million dollar competitive soccer fields they hope to wrest control of for their own purposes (see video below with Donnery threatening electoral consequences and Councilman Pat Hume's rebuttal). As for Szymanski, he has been pillared by the MLS and others who oh so desperately want to believe the league is financially viable and that taxpayers, at least in Elk Grove's failed bid, should pay for their expansion. From our perspective, in defense of Szymanski we invoke the name of another naysayer who was shunned but correctly pegged history's largest Ponzi scheme. In 2001 Barron's reporter Erin E. Arvedlund wrote a story questioning the then well-regarded money manager Bernie Madoff's techniques. As we all know Arvedlund was way out front of the story which at the time was dismissed out-of-hand. Szymanski will probably have the last laugh and in the mean time can take comfort that his analysis may put him in the same category as Arvedlund who correctly pegged that infamous Ponzi scheme. Elk Grove taxpayers can breath a sigh of relief that Garber was never really serious about locating a soccer stadium on a hay field, I mean really, think about it, and was only playing on Fabian Nunez and Mayor Gary Davis' egos to gin-up up the price of an expansion franchise to give the wobbly league a few more years of survival. As for the need of those competitive soccer fields, more on that later.